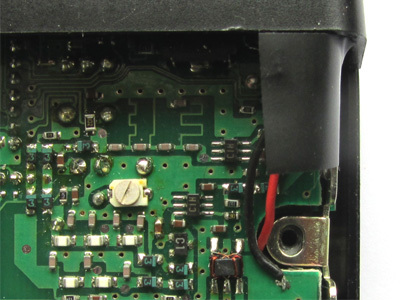 It requires quite some work to modify a Uniden Bearcat 2500XLT with a discriminator output. 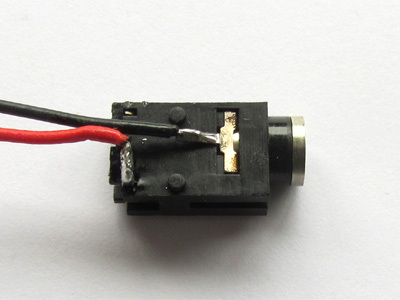 First, the discriminator IC, a TK-10930, is a VSOP (Very Small Outline Package) IC. 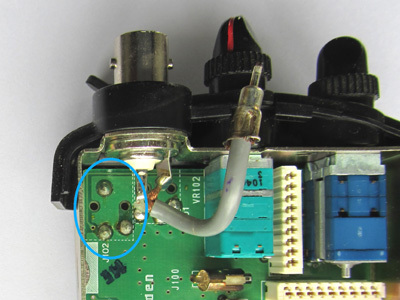 Its pins are spaced 0,5 mm (0.02"). A 'normal' SMD in SOIC (Small Outline IC), like the MC3361, uses a spacing of 1,27 mm (0.05"). Next, there is hardly any space for an additional chassis terminal. The scanner is filled very efficiently with three layers of cicuit boards. The case fits almost seamlessly to the components mounted on the PCBs. However, with some effort the existing earphone/speaker socket can be reused. 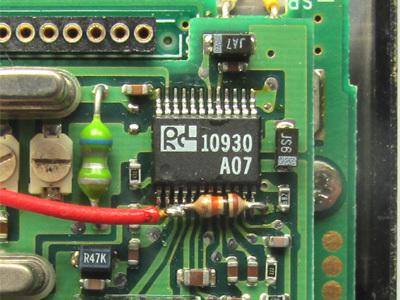 Next, the connection to the receiver IC can be made. For narrow-band FM (NFM), this is a TK10930. 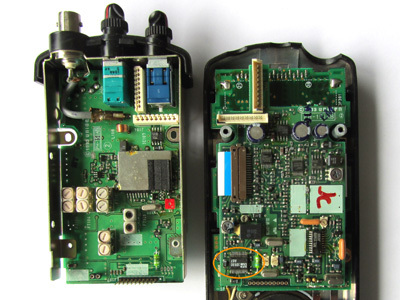 The other receiver IC, a TK10498, is for FM broadcast (WFM). 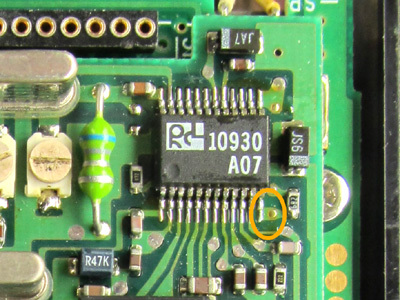 The unfiltered baseband audio can be found on pin 12. Right to pin 12 there is a via. It's connected to pin 12. 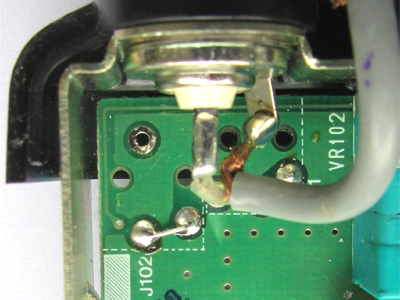 Solder one leg of a 10 k, 1/8 W resistor to this via. The leg snugly fits in the via. Solder the resistor's other leg to the wire coming from the chassis socket. 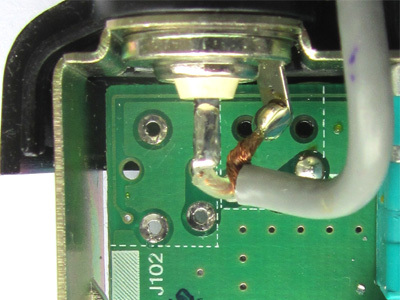 Check if the cable from the antenna connector has been reconnected. 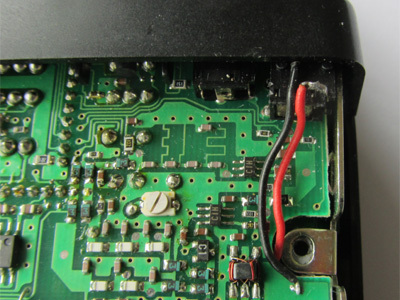 After that, the circuit boards can be snapped together and the scanner can be closed. Happy monitoring!